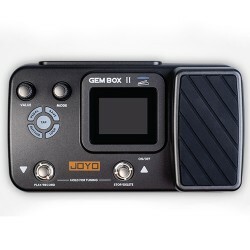 The JOYO PXL Pro is a programmable guitar effect pedal control station, switching multiple pedals and triggering amp effects, with one stomp. Sometimes a song can require quite a complicated patch, this can mean something close to tap dancing on your effect pedals, turning pedals off/on.. So that's where the JOYO PXL series of controls will revolutionise your playing. Pre program what pedals you want on, save them to patches for ease of use for that crucial live situation when timing is everything! 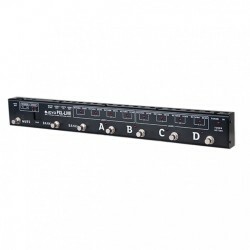 In the PXL Pro, you have 8 programmable loops for your guitar effect pedals. 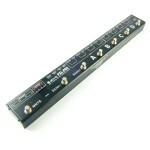 You can set the PXL up as one series loop of 8 or you can split them into 2 loops of 4 and use effects in your FX LOOP. Another great feature of the PXL Pro looper is the 4 switch triggers. 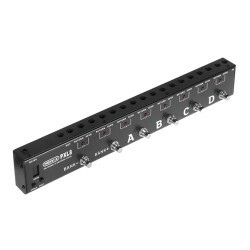 This means that you can control up to 4 switchable functions on external devices right from this looper via 4 1/4 inch jacks. 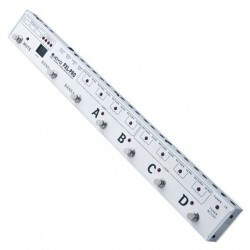 These might be amp channels, effect modes. You can even program each trigger to latch or make a momentary contact and you can also set the polarity (Normally open/Normally closed). Some amps may need a custom cable to work with this looper. Other great features include a mute/tuner out switch. You can store up to 32 different effect sets, all the combinations you can think of, or even bypass all loops with a single stomp. 9v Power supply, not included. 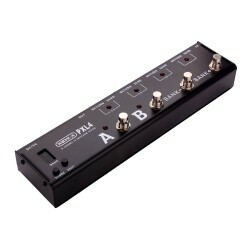 Very pleased with this switcher which has helped me get under control a large and expanding pedal board. The switcher works great - no noticeable effect on tone. I do recommend the pro over the Pxl 8 if you want to run 2 amps or put effects into an effect loop as you can split into a pair of 4. I had ordered the incorrect one originally through Amazon from Joyoaudio but they were great about replacing it. I have 5 other Joyo pedals and all have been good purchases.